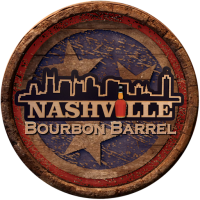 Earlier this month, a warehouse collapsed in Kentucky, leading to the sad demise of thousands of barrels of bourbon. That’s your bad bourbon news for the day. Now have some good: we just launched a sweepstakes that’ll send one lucky reader and a guest to the historic Buffalo Trace Distillery for the whiskey sojourn of a lifetime. And a one-year membership to adventure club True.InkOh, and a guided horse farm tour. That comes before all the bourbon, hopefully.